Ten percent of the worlds freshwater laps at the shore outside your window. A bonfire burns out on the beach, and you settle in to the quiet of the beautiful Porcupine Mountains. 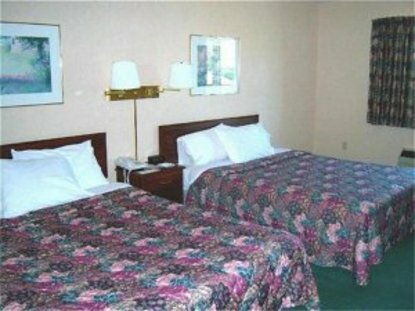 The AmericInn Lodge and Suites of Silver City waits to provide you and your family the memory of an old-fashioned vacation. With all that the outdoors can offer, you are sure to make memories here. We offer terrific year-round fishing in our many lakes and streams. Summer hiking and sightseeing are fabulous in the UP, especially the 60,000 acre Porcupine Mountains Wilderness State Park. Fall colors abound in Silver City. Lake Superior provides a beautiful shoreline of Mother Natures display for your viewing pleasure. Sunset walks on the shore will yield many evenings of photo opportunities. And who can forget the splendor of winter in the UP? With their abundant snowfall every year, the ski area of the Porkies boasts the highest vertical drop in Michigan and Wisconsin. Dont forget about the hundreds of miles of well-groomed trails beckoning snowmobilers in.